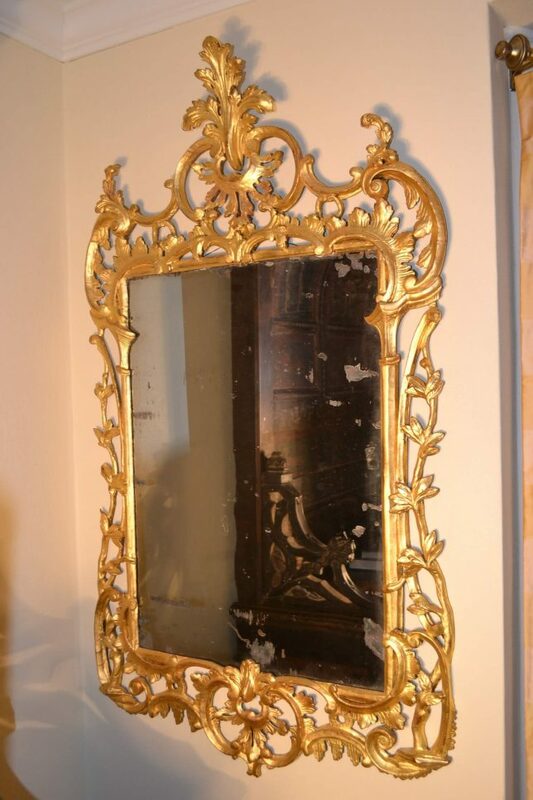 Pair of George II gilt pier mirrors, 18th century. These would be most dramatic over flanking consoles in a grand hall or large living area. 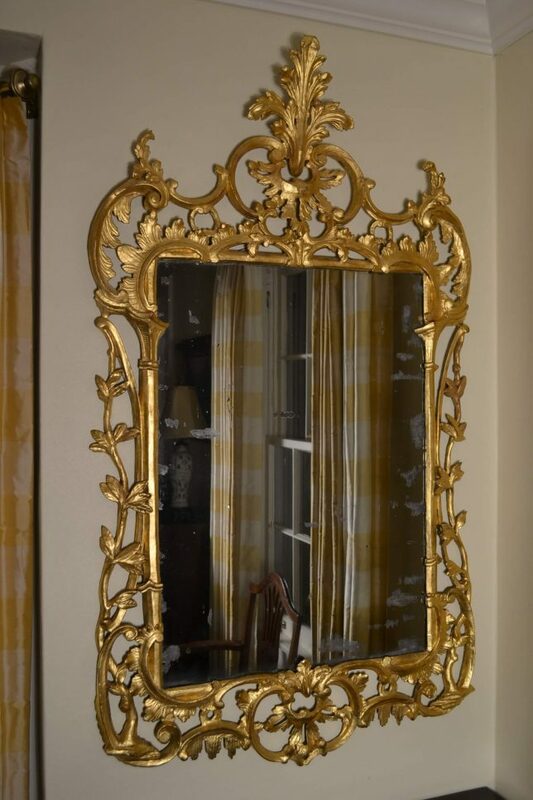 This is an identical pair with gilt surfaces on well carved scrolls with leafage.The use of open space creates a lacy overall design and is typical of the well developed Rococo style. of course, sold only as a pair.